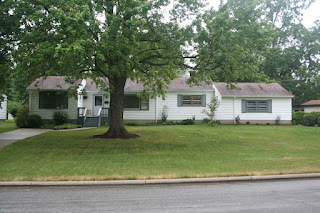 RAMBLING RANCH HOME… Nestled onto ~1/2 acre mature treed lot! Refinished wood floors 2010. Slate Foyer. Family Room with new carpet & brick Fireplace. Huge "Country Sized" Kitchen with oak cabinets. Dinette with Skylight, wood floors & french doors to Deck & Patio. Master Suite has Sitting Room/Nursery & private Bath. Finished Basement with Recreation Room & Den/4th Bedroom. Updated lighting, interior/exterior paint & more! Over 2,000 SF! Westerville schools! 3 BR’s & 2 Baths! Only $ 169,900! Call DeLena Today!